Autism or Autism spectrum disorders are defined as neurodevelopmental disorders of brain development. In May 2013, Autism spectrum disorders were redefined or classified under a broad category called Autism spectrum disorder that included the previous diagnoses of Autism, Asperger’s disorder, PDD-NOS (Pervasive Developmental Disorder not otherwise specified), and childhood disintegration disorder. 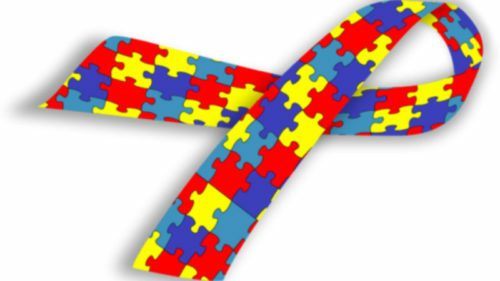 Autism spectrum disorder occurs much more frequently in boys than in girls. Symptoms vary from child to child, ranging from mild to severe. It is now estimated by the CDC that 1 in 68 children in the United States has an Autism spectrum disorder. Some children on the Autism spectrum may show a delay in development during their first two years, while other children may seem to be developing normally but then go through a regression in their first 2-3 years, leading to an Autism spectrum disorder. Regression in development can occur in multiple areas, but most frequently occurs in language function. Because multiple areas and functional systems can be affected, the autistic patient can have overlapping symptoms with other disorders as well. Many autistic children have symptoms of sensory sensitivities (to sound, light, texture, tastes). Frequently, autistic children also exhibit varying degrees of ADHD symptoms, like poor focus, hyperactivity and impulsivity, though their primary diagnosis is autism. In addition, those with Autism spectrum disorder can have comorbid or co-occurring learning disorders, auditory/language processing deficits, anxiety, and/or depression. Many children on the Autism spectrum may exhibit sleep difficulties, and gastrointestinal or digestive problems. Diagnosis is based on a cluster of behavioral symptoms, although the symptoms are believed to be neurologically based. The diagnosis of Autism spectrum disorder itself does not provide answers to the origin of the symptoms. This is the reason that the approach to help these children requires a wide variety of diagnostic tests to scientifically assess the cause of their health issues.